Cattle feeders around the Sioux Falls, South Dakota area, will face a new marketing challenge in October of next year. Sioux Falls Regional Livestock, located in Worthing, S.D., is a delivery point for CME Group. On Aug. 5, CME Group announced it will implement a seasonal discount of $1.50/cwt. on live cattle tendered to the Worthing delivery location for the October 2017 contract, which will be listed for trading on August 22, 2016. "We decided to implement this seasonal discount on the Worthing location after an extensive customer survey, internal review and Informa's independent research determined that this discount would more closely align delivery values with cash market prices and would maintain compliance with CFTC's policy on location price differentials," said Dave Lehman, CME Group Commodity Research and Product Development managing director. "We don't believe this seasonal discount will have any impact on the local cash cattle prices." But that is exactly what John Nelson with Producers Livestock Association, Sioux City, Iowa, is concerned about. "Normally when a packer would bid considerably lower, then physical delivery against the futures contract is the alternative. Now the packers can bid even lower on the cash cattle because delivery is a less desireable option." Nelson believes this is the first time for such an action by CME Group. As cattle production has ramped up in the region, thanks to expansion in recent years and cheap, abundantly available feedstuffs, the Worthing location sees a surplus of live cattle in October, resulting in cheaper prices. "We are seeing an increase in cattle production in the north, yet the processing abilities haven't expanded as much as production has," said Lehman. "What happens is cattle have to be hauled further distances to packers that have the capacity to slaughter these numbers, which means more freight costs. As a result, the cash prices around Worthing during the October time frame were significantly lower than our other delivery points." Nelson said he hopes this isn't a "knee-jerk" reaction to last year's unprecedented heavy cattle and carcass weights. Triggered by a drastic drop in the cash market, regional cattle feeders fed cattle longer than usual – hoping for a market rally – resulting in extra pounds at the point of sale, and a larger price difference than usual between northern and southern markets. Nelson also pointed out that seasonal differences exist between the northern and southern markets – and CME didn't try to account for those either. "In the fall the northern markets are lower, but in the spring it's the opposite." The full Informa Economics report titled, "Regional Cattle Price Differences and Their Impact on CME Live Cattle Delivery Points," is available at http://www.cmegroup.com/livestockupdates. 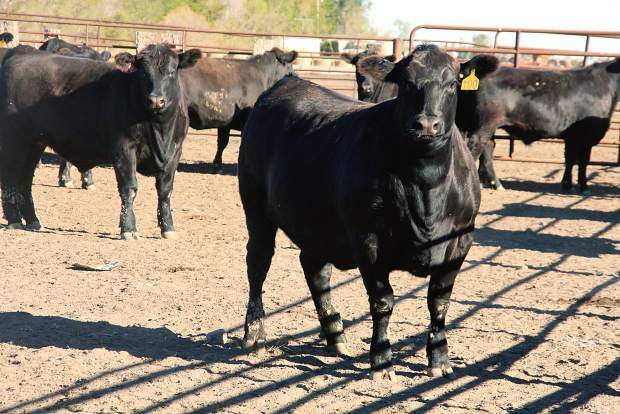 The study evaluated the implications of placing a seasonal discount on the Worthing location, and despite much pushback from area cattlemen, the report determined the discount would help ensure convergence between futures and cash prices. "That's the basis for why we started to pursue this," said Lehman. "If we have different prices at various delivery points, which we do, then the contract market must establish location differentials which fall within the range of normal cash market prices. We looked at the differences in the underlying market, so we could specify a differential that reflects that price difference. We tried to ensure that our futures contracts reflect the underlying market as close as possible." Nelson takes issue with this logic. While he hopes the CME won't implement a discount elsewhere, Nelson makes the point that other delivery locations exist within the same market as Worthing. "CME said it is trying to account for the disparity between the cash market between the north and the south. So why only Worthing, why not Norfolk or Columbus? They are in the same market structure as Worthing." CME Group has 13 locations across the country where live cattle can be delivered in satisfaction of a short futures position. More than 4,700 head of cattle were delivered to the Worthing location in 2015. "The number of head going through the delivery against futures in Worthing only accounts for 1.6 percent of the total cattle sold for slaughter in October in that region in 2015," said Lehman. "Worthing actually accounts for about half of our deliveries since we added it as a location point in 2009. It's a great modern facility with a larger holding capacity than our other delivery points." David Minor, owner of Sioux Falls Regional Livestock, says it's unclear how the discount will impact his customers. The $1.50/cwt. discount will ring up at $600 for every 40,000-pound contract; however, freight to the next closest delivery point in Ogala, Nebraska, which is about 400 miles from Worthing, would also be costly and time-consuming for producers. "We aren't sure how this discount is going to impact our customers quite yet," said Minor, who is still reviewing the 35-page CME Group report that was released. "I will say the discount was pretty disappointing to many of our customers considering the high-quality cattle that go through here. The discount is a little more than the freight difference, but I don't see people leaving to sell their cattle elsewhere. Most are mindful of the freight costs, and I think a lot of guys will just deal with the discount." During the review period, which was conducted this spring, the South Dakota Cattlemen's Association, South Dakota Stockgrowers Association and R-CALF USA expressed concerns about the proposed discount, largely that the discount will interfere with fair competition, penalize producers in the northern geographical location, subsidize the 12 other delivery locations that CME Group maintains, and encourage inefficiencies in the cattle industry structure. "I think there's a misunderstanding that the discount for delivery against futures would apply to all sales; however, that's not what our findings show, nor what the Informa economics findings showed," said Lehman. "We've definitely received some mixed feedback since we made the official discount announcement. Some felt our discount wasn't large enough, and they wanted $4/cwt. or more. Others wanted the Worthing delivery point removed from the contract entirely." "We continue to remind our customers that the discount is just for the delivery cattle," said Minor. "The Informa study showed there wouldn't be an impact on the local cash prices, but I've heard from a lot of folks who use the delivery system and are very disappointed and wondering what they should do. It's a wait-and-see attitude right now." Lehman added, "We looked at the seasonality of price differences amongst the different locations, and there were significant differences in September, October and November in the area when compared to our other delivery points in Texas, Oklahoma, Kansas and Colorado. We have location discounts and premiums in almost all other agricultural contracts such as corn, soybeans, soybean meal and soybean oil. It's a well-accepted aspect of futures contracts. We don't feel this discount will harm the underlying industry, especially since it will apply to less than 2 percent of the cattle sold in that area. In fact, with the $1.50 discount the futures won't have to decline as far and should result in a more stable basis and better hedging effectiveness through the territory." The Worthing region is expanding, and there are more cattle feeders in the area. Minor said that fewer produces are relying on the futures markets due to uncertainty in the marketplace. "The futures have been so discounted, and it's being used less and less," said Minor. "The cash market has been better than futures, so we haven't had many deliveries lately, but things could change by October. The quality is excellent in fat cattle in the upper Midwest, so we are still going to have buyers in the seats. We need more convergence just to keep the market up a little bit more. This discount might affect us some years more than others. We'll just have to wait and see." In addition to the discounts being implemented at the Worthing location, CME Group also announced it will revise grading and quality specifications. According to the press release, "CME-Group will update par quality grades for both live and carcass-graded deliveries to 60 percent choice and 40 percent select, from 55 percent and 45 percent respectively. Pending regulatory reviews, these changes will be effective with the October 2017 contract month." Additionally, CME Group will delay listing of additional contracts. The company said in the release, "Transparent, negotiated or auction-based cash markets are a prerequisite for effective futures markets, particularly those with physical delivery. However, only approximately 20 percent of cattle sales are negotiated in cash markets across the U.S. today with less than five percent in major producing states like Texas and Oklahoma. As a result, CME Group will delay listing any additional contract months beyond October 2017 as we continue working with the industry to evaluate ways to improve cash market transparency, review cash market developments and consider the introduction of cash-settled products if transparency does not improve." "We greatly value our relationship with the cattle community and are committed to helping producers and commercial firms manage their price risk," said Tim Andriesen, CME Group mana-ging director of Agricultural Products, in the press release. "Since the start of the year, we have been working with the NCBA and the broader industry to enhance our cattle futures markets. While we are announcing these changes and will continue our ongoing work with the industry, we have concerns about the lack of transparency of cash cattle markets." For more information on these changes and other updates from CME Group, check out http://www.cme.com/livestockupdates.